The gorgeous Town of Lexington is one of those rare places that makes everyone feel right at home. From farmers to executives, and artists to engineers, Lexington offers something of value to everyone. Residents of the Town of Lexington enjoy peaceful living surrounded by rural and lakefront homes, challenging golf courses, and historical sites. The lovely town of Lexington is a major contributor towards the nation's economic development. It is the county seat of Lexington County, one of the nation's fastest growing areas. Highways 1, 6, and 378 interconnect in town and provide a short 10-minute drive to the Columbia Metropolitan Airport, the University of South Carolina, and downtown Columbia. Easy access to Interstates 20 and 26 guide residents to other major cities, such as Atlanta, Charlotte, Charleston, and Asheville. Fast growing, but still maintaining a pleasurable pace. Take a stroll along Main Street and delight in conversations with friendly folks enjoying the sidewalk seating and delicious food at the Main Street Cafe & Grill. Lexington is also home to countless other local restaurants, some of whom have been nationally recognized. You may have read about Hudson's Smokehouse in Southern Living magazine, or learned about The Farmer's Shed while watching The Food Network. Of course, there are the franchise restaurants as well, including Travinia Italian Kitchen, Casa Linda Mexican Restaurant, Buffalo Wild Wings, and more. Lexington is also a great haven (and source of inspiration) for local artists and tradespeople, from watercolor and pottery to agriculture and law. Several Lexington art galleries welcome local artists, such as Micheal Story and June Tucarella. Lexington also hosts a local Farmer's Market to promote local foods and educate the public in sustainable foods, healthy eating, and SC Certified produce. Residents and thousands of visitors enjoy several annual festivals and community events, such as the Lexington FunFest, the Kid's Day Festival, and the Wine Walk on Main fundraiser to benefit the Lexington Beautification Foundation. 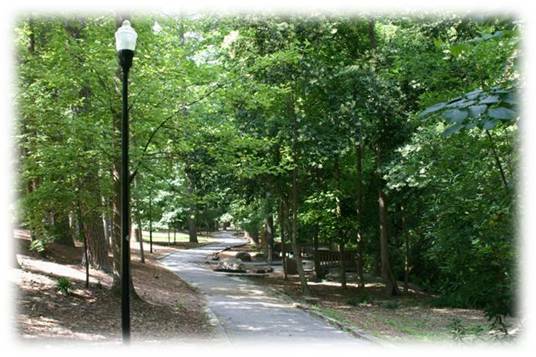 In the heart of Lexington is Corley Street Park and beautiful Virginia Hylton Park, with shady walks, picnic tables, covered stage, butterfly garden, and a bubbling brook complete with a peaceful koi pond. Perhaps you've been looking for a town just like Lexington, South Carolina. Well, look no further, and come on home! Listing courtesy of Weichert Realtors Caughman Company. Listing courtesy of Weaver Realty, Llc.